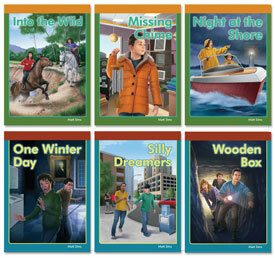 Set C-1 includes six books that give practice in all of the skills found in Sets A and B and add new skills. Three books focus on spelling patterns, inflectional endings, and compound words (Level 5) and three focus on prefixes and suffixes and regularly spelled two-syllable words (Level 6). 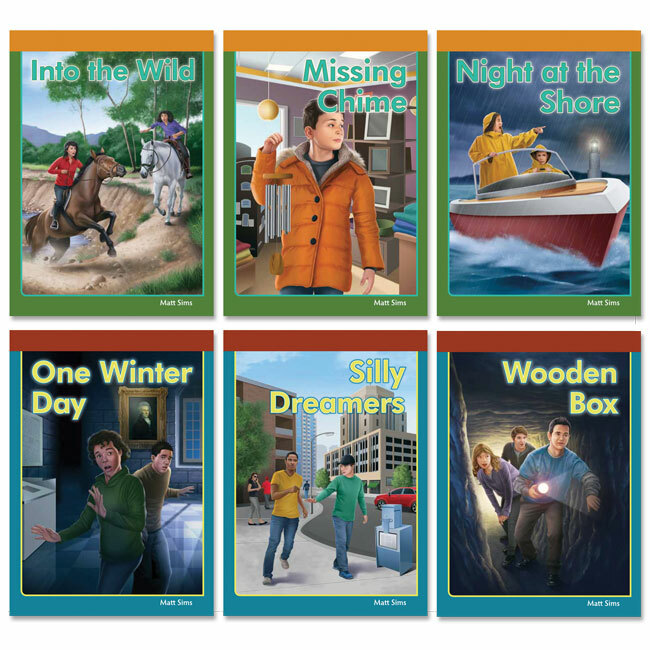 Workbook contains story synopses and pre- and post-reading activities. Helps students build vocabularies, practice comprehension, recall and other basic reading competencies. Includes answer key. Reproducible. 8-1/2x11 softcover, 56 pp. Sound Out A-1 and Sound Out A-2: focuses on short and long vowels (one-syllable words). Sound Out B-1 and Sound Out B-2: Same skills taught in A-1 and A-2 with the addition of practice with consonant blends and digraphs, diphongs, controlled vowels, and silent letters. Sound Out C-2: more practice with the same skills taught in C-1.